In the mid 1990s, Cuba implemented a growth-driven strategy to attract remittances from abroad. The fundamental elements of this strategy consisted of the legalization of the U.S. dollar, the expansion of a national network of state-run “dollar stores” (tiendas de recaudación de divisas—TRDs), the development of government-operated exchange bureaus (Casas de Cambio, S.A.—CADECAS), and the transformation of the banking sector. These measures contributed to the influx of unrequited unilateral transfers from abroad, and to the expansion of international tourism. Annual remittances increased from $537 million in 1995 to more than $900 million in 2005, and the ratio of remittances to merchandise exports rose from 35.6% to more than 40% during the same period. Tourist arrivals rose from 745,000 in 1995 to 2.0 million in 2005, and gross tourism revenues grew from $1.1 billion to $2.1 billion over the same period. Despite the impressive growth recorded during the 1995–2005 period, the amount of annual remittances sent to Cuba was significantly lower than the amounts sent to the Dominican Republic and El Salvador. According to the Inter-American Development Bank (IDB), Latin America and the Caribbean received an estimated $45 billion in remittances in 2004 (Terry, 2005). While Cuba only received an estimated $855 million in remittances, or 2% of the total amount, the Dominican Republic received $2.2 billion, or 4.9%, and El Salvador $2.5 billion, or 5.5%. In the case of the Dominican Republic, remittances accounted for 6.6% of gross domestic product (GDP) in 1995, compared to 8.2% in 2005, and the ratio of remittances to merchandise exports over the same period increased from 21% to 39.3%. In El Salvador, remittances represented 12.1% of GDP in 1995; but rose to 16.7% in 2005; meanwhile, the ratio of remittances to merchandise exports increased from 74.1% to 83.5%. Although remittances occupy a significant place in the economies of Cuba, the Dominican Republic, and El Salvador, they play a different role in the Cuban case due to the uniqueness of Cuba’s policies (to attract remittances) and the singularity of U.S.-Cuban relations. This paper explores the unique nature of Cuba’s remittance landscape1 and the magnitude of remittances in the Cuban economy, and compares them with the Dominican Republic and El Salvador. The first section presents a brief overview of the general factors that motivate remittance behavior. The second describes the principal characteristics of the remittances landscape in the Dominican Republic and El Salvador, and compares them with Cuba’s. The third section analyzes the magnitude of remittances in the Cuban, Dominican, and Salvadoran economies. Family remittances are defined as the portion of earnings (or income) sent by persons working (and residing) abroad for a period greater than one year to relatives in their countries of origin (García & de Palacios, 2005). These unrequited unilateral transfers typically exclude debt payments and investments to purchase real or financial assets, which are usually classified as deposits or investments rather than family remittances (García & de Palacios, 2005). Periodic payments sent by temporary guest workers are also excluded from this category, since they represent an indirect form of employee compensation (García & de Palacios, 2005). The traditional definition of family remittances also excludes any personal belongings, including cash and transferable financial assets, that persons working and residing abroad may bring upon their return to their countries of origin, since such assets (in both tangible and intangible form) are usually classified as “migrant transfers”(García & de Palacios, 2005). Given these definitions, it is clear that migration is a necessary condition for the existence of remittances. The literature on remittances identifies two economic factors that contribute to migration. On the demand side, there are the so-called “pull factors” such as the demand for labor and intricate social networks that facilitate the migrant’s integration in host countries. On the supply side, there are “push factors” such as existing wage differentials, better employment opportunities for potential migrants in the host countries, as well as deteriorating economic conditions, growing insecurity, and political persecution in the home country (García & de Palacios, 2005). Stark (1991) makes the link between migration and remittances by defining migration as a means to overcome market failure. According to this theory, poorly functioning markets are a requirement for migration. In countries where markets fail, it is not uncommon to find cases in which a family member voluntarily migrates with the sole purpose of seeking employment abroad to support those left behind. In such cases, remittances are almost invariably driven by what Stark & Lucas (1988) classify as “altruistic motives” (i.e., remittances constitute unilateral transfers to relatives or friends for altruistic or humanitarian purposes). However, in other instances, particularly when migration is seen as a temporary response to market failure, and migrants are expected to return to their home countries, remittances tend to be primarily motivated by “self-interest.” In such cases, remittances often provide the opportunity for migrants to use their earnings for investment (or productive) uses such as buying (or building) a house, acquiring land, or starting a business (Brown, 1997; Hoddinot, 1992). In addition to “altruism” and “self interest,” there are other factors that influence remittance behavior. According to Díaz-Briquets & Pérez-López (1997), remittance flows are sensitive to economic and political conditions in both the home and host countries. In general, the propensity to remit tends to increase as economic conditions in the home country worsen, ceteris paribus (El Sakka & McNabb, 1999). Remittances typically increase after family members experience illness and/or the loss of employment, and when the home country suffers from devastating natural disasters (de la Brière et al., 2002; Stark & Lucas, 1988). Remittance behavior is also influenced by the senders’ motivation to migrate (Díaz-Briquets & Pérez-López , 1997), their status in the host country, the length of time away from home, the frequency of communications with relatives in the home country (Massey & Basem, 1992), and whether or not they plan to return (Díaz-Briquets & Pérez-López , 1997; Menjivar et al, 1998). A country’s remittance landscape has three components: (1) market participants (i.e., remittance senders and receivers); (2) the mechanisms or modalities used to send or receive funds; and (3) the regulatory, legal, and institutional frameworks that govern “remittance behavior” in the sending and receiving countries. This section summarizes the principal characteristics of the remittance landscapes of the three countries discussed in this paper, Cuba, the Dominican Republic, and El Salvador. However, to highlight the uniqueness of Cuba’s remittance landscape, and facilitate comparison, we first examine the principal features of the remittance landscapes in the Dominican Republic, and El Salvador. The Dominican Republic has a population of approximately 8.5 million people. An estimated 2 million Dominicans (or 23.5% of the population) live abroad, including 1 million in the United States (U.S. Census, 2003, cited in Bendixen, 2004), and 71% (or 1.5 million) send remittances on a regular basis (Bendixen, 2004; Orozco, 2002). Approximately two-thirds of this Dominican diaspora resides in New York City and the surrounding tri-state area (IDB, 2005). Not surprisingly, as much as 59% of the country’s total remittances originate from within the so-called “Dominican corridor” (Orozco, 2002). The average remittance payment sent to the Dominican Republic from the United States is $150, and the average Dominican remitter sends money home between 12 and 15 times per year (Bendixen, 2004). Remittance receivers in greater Santo Domingo receive 35% of all remittances, while the country’s northern region receives 30%, the southern 24%, and the eastern just 11% (Bendixen, 2004). The majority of Dominican remitters are long-term immigrants, and they tend to remit on a regular basis for a prolonged period of time. According to Bendixen (2004), 65% of Dominican remitters in the U.S. had been living abroad for more than 10 years; 72% were citizens or legal residents (who had been sending money home for long periods of time); and 69% had been remitting for more than five years. Dominican remitters also tend to be older, have relatively low levels of educational attainment, and are mostly female. A national survey of remittance receivers in the Dominican Republic found that 72% were 35 years old or older; only 24% had graduated from high school; 17% had not finished primary school; and 58% were female (Bendixen, 2004). Of those surveyed, 38% received an average remittance of $141 ten times per year; slightly more than 66% indicated that they had been receiving remittances for less than five years; and 59% had a monthly income of less than $300 (Bendixen, 2004). An estimated 68% of Dominican remittances recipients share their remittances with other people, and the bulk of that money (60% or more) is used to cover daily living expenses, compared to 5% allocated to business investment, 5% directed towards savings, 4% used to invest in some form of property, and 6% used to purchase “luxury items” (Bendixen, 2004). Compared to remittance receivers in other parts of Latin America and the Caribbean, Dominicans spend a greater share of remittances (17%) on education (López-Córdova & Olmedo, 2006). Dominican remittance receivers are less likely to have a bank account (66%) than the Dominican population at large (58%) (Bendixen, 2004). Regardless, financial institutions historically have not viewed remittances as a market opportunity, and only 39% of money transfer operations (MTOs) are banks (Orozco, 2006). Indeed, one of the key characteristics of the Dominican remittance market is the degree of dominance enjoyed by money transfer companies. According to Bendixen (2004), 84% of Dominican remittance senders use international money transfer companies, while 10% use mail or a courier, and only 5% use either a bank (2%) or a credit union (3%). The Dominican remittance landscape is characterized by a relatively developed formal infrastructure, increased competition, and relatively low transaction costs (Suki, 2004). By the end of 2005, there were 25 different companies serving the Dominican remittance market (Orozco, 2006). In February 2004, the average rate charged to send $200 to the Dominican Republic was 10.4% (Orozco, 2004); by December 2005 this rate had fallen 38.4%, to 6.4% (Orozco, 2006). As a result, the Dominican Republic has one of the lowest rates of informal channel use—only 4%—in the region (Suki, 2004). • “Dominican Corridor” specialists such as Quisqueyana (through its Cashpin card) and Cibao Express (Suki, 2004). A growing number of these enterprises (e.g., Money- Gram, Quisqueyana and Western Union) offer online transfer platforms, as do a small number of Internetbased providers such as XOOM and iKOBO, Inc. On the receiving end, many of the money transfer companies partner with local banks or services (e.g., Western Union’s arrangement with Vimenca) to offer home delivery, another salient feature of the Dominican remittance landscape. Approximately 80% of Dominican remittance receipts are delivered directly to the receivers’ homes (Suki, 2004). While banks and other financial institution have played a relatively minor role in the Dominican remittances market, their role is likely to change, as the Multilateral Investment Fund of the IDB (MIF/ IDB) is promoting a number of partnerships and projects to link remittances to financial institutions (Suki, 2004). Recently, the MIF/IDB has provided loans for the modernization of remittance distribution channels. The principal aim of these projects is to co-finance “the organizational and technological adjustment needed in order for a commercial bank like Banco Hipotecario Dominicano (BHD) to massively expand its remittance services” (IDB, 2004). A second objective is to develop remittance-related products and financial services for members of the credit cooperative AIRAC (Asociación de Instituciones Rurales de Ahorro y Crédito, Inc.) to reduce costs in order to “bank” remittance senders and receivers, and channel the resulting profits to their communities of origin (IDB, 2004). According to the Central Reserve Bank of El Salvador, some 1.15 million Salvadorans live outside of their home country, and approximately 94% of them reside in the United States. Salvadorans living abroad have a relatively high tendency to remit, and roughly 20% of all Salvadoran households receive remittances on a regular basis. An estimated 49% of Salvadoran remitters residing in the United States send money monthly, while 18% remit more frequently (García & de Palacios, 2005). The average amount sent per month is $300; 58% of remitters send between $201 and $300 per month; 30.9% send amounts ranging from $301 to $400 on a monthly basis. Approximately 25.7% of all remittances are sent to San Salvador (the country’s capital) and 31.1% go to the eastern departments (or provinces) of San Miguel, La Unión, and Usulután (García & de Palacios, 2005). According to the MIF/IDB, a greater percentage of remittances sent to El Salvador (84%) goes toward household expenses—food, rent and utilities—than anywhere else in the region (López- Córdova & Olmedo, 2006). There are substantial gender differences among Salvadoran remitters. Males, who represent more than half of all remitters, typically send $325 per month compared to $260 in the case of females (García & de Palacios, 2005). In most cases, the amount sent varies due to fluctuations in personal income, downturns in the Salvadoran economy, local and national holidays, and the occurrence of unforeseen contingencies, such as sickness or natural disasters. The average age of Salvadoran remitters is 37, though 52.7% are younger. Slightly more than 70% of remittances are sent by the 68% of the remitting population that arrived in the United States since the 1990s. Salvadoran remitters have an average of 9.2 years of formal education, a level greater than that of the Salvadoran nationals in general (5.6 years) and 45.3% have 10 or more years of education. Émigrés since 2000 have an even higher average level of education—9.9 years—and a higher propensity to remit (García & de Palacios, 2005). Those with 10 or more years of education send 53.7% of all remittances, and send higher amounts on a monthly basis: $322 for those with 10–12 years of schooling and $368 in the case of those with 13 or more years of education (García & de Palacios, 2005). The majority of Salvadorans have a strong desire to return to their homeland one day (Menjivar, et al., 1998), but many express dissatisfaction with their inability to leverage remittances for uses other than consumption (García & de Palacios, 2005). Indeed, only 31% of Salvadoran remittance receivers have bank accounts (Orozco, 2006). Still, El Salvador represents a remittance market in which the formal financial sector is heavily involved in processing transfers. In 1998, one bank alone, Banco Cuscatlán S.A., handled “at least one-third of the $1.2 billion received in remittances” that year (Orozco, 2000) and in 2004, Banco Salvadoreño, in conjunction with its U.S.-based money transfer arm, Bancosal, processed more than 90,000 transfers, totaling $256 million (Orozco, 2006). In 2005, Salvadoran banks accounted for 67.5% of the money transfer operations (MTOs) in El Salvador, the highest percentage in Latin America, and they paid 70% of all remittances (Orozco, 2006). The four largest Salvadoran banks—Banco Agrícola, Banco del Comercio, Banco Salvadoreño and Banco Cuscatlán— operate branches that provide money transfer services in the United States. As of 2005, there were 15 different companies conducting remittance transfers in El Salvador, including Western Union, MoneyGram, Banco Agrícola, Banco del Comercio, Banco Salvadoreño, Banco Cuscatlán, Gigante Express, León Express, and FEDECACES (Federación de Asociaciones Cooperativas de Ahorro y Crédito de El Salvador de RL), a national credit union network (Orozco, 2006). As a result of the advanced and competitive nature of the formal remittance infrastructure, the use of informal channels for sending money to El Salvador is relatively small—just 15%—and transmission costs are relatively low (World Bank, 2006). Between January 2004 and December 2005, the average cost to send $200 to El Salvador fell from 6.18% (or $12.36) to 5.2% (or $10.40) (Orozco, 2006). Although competitive forces have contributed to the reduction of transmission costs, the dollarization of the Salvadoran economy has been a major factor in keeping transmission costs down, as receivers do not have to pay to for currency conversion (Orozco, 2003). To capitalize on the growing influx of remittances and diversify their sources of funding, some banks in El Salvador have started to offer fixed income securities collateralized by money sent by immigrants in the U.S. (López-Córdova & Olmedo, 2006). In 2003, Banco Cuscatlán offered $125 million in remittance- backed securities (López-Córdova & Olmedo, 2006). Several of these vehicles have been given investment- grade ratings “two to four notches above the sub-investment grade sovereign rating” (World Bank, 2006). Another important element of the Salvadoran remittance landscape is the growing importance of Hometown Associations (HTAs) within immigrant communities. In 2003, there were an estimated 213 active Salvadoran associations in the United States— including 142 in Los Angeles alone (Mojica & Sanabria, 2003). Salvadoran HTAs contributed $682,550, or 12% of the total cost, for some 24 community-improvement projects in towns throughout El Salvador in 2004 (Mojica & Sanabria, 2003). As is the case in the Dominican Republic, the MIF/ IDB has undertaken projects to strengthen financial and remittance services in El Salvador by fortifying the network of cooperatives affiliated with FEDECACES. In addition to strengthening the capacity of those affiliates to receive remittances, the project will allow them to provide a new array of related financial services, such as savings, mortgages and personal loans. The MIF/IDB is also developing a program aimed at stimulating investment in small and medium- sized enterprises by using U.S.-based Salvadoran banks and HTAs to channel remittances and other migrant resources toward that end. Political tensions between Cuban and the United States, and the resulting responses from both countries, have played a fundamental role in shaping Cuba’s remittance landscape. Both countries have long sought to influence not only the amount and frequency of remittances to the island, but in what manner and to whom these flows are sent and used (Barberia, 2002). In June 2004, the Bush Administration announced a series of remittance and travel restrictions that limit remittances to Cuba to immediate family members (i.e., spouses, children, parents, siblings, grandparents, and grandchildren), and prohibit sending money to Cuban government officials or members of the Cuban Communist Party. These regulations also reduced the number of days U.S. citizens can visit relatives in Cuba from 21 days to 14 days and the amount of U.S. dollars an authorized traveler may bring to the island from $3,000 to $300 per visit (Office of Foreign Assets Control [OFAC], 2004). As a result of relatively high transaction costs, and stringent regulations, Cuban remitters tend to disproportionately rely on informal mechanisms, when compared to their Dominican and Salvadoran counterparts (Eckstein, 2004; Orozco, 2002). According to an Inter-American Development Bank (IDB) survey of Cuban remitters, 32% typically send money via Western Union, and 46% rely on a mulas or viajeros (IDB, 2001). However, “as the country [Cuba] modernizes its financial infrastructure to attract foreign currency, its diaspora will access those [modernized, formal] resources to send money to their relatives” (Orozco, 2002), and the current reliance on informal channels to send remittances will likely change. Already, Cuban remitters can choose from a wide range of formal mechanisms, which offer both convenience and competitive prices, such as Transcard, Havana Express, Caribe Express, Antillas Express, www.familyremittances.com, www.cash2cuba. com, and www.quickcash.com. However, relatively high transaction costs, and existing regulations also seem to explain why at the present time, and despite being relatively well off, Cuban immigrants tend to remit less than their Dominican and Salvadoran counterparts. On average, Cuban immigrants in the U.S. tend to earn more than other Hispanic (or Latino) immigrants: 34% have an annual income of $35,000 or more, compared with 25% of Central and South Americans, and 31% of “other” Hispanics (Orozco, 2004).4 While an estimated 67% of all Cuban immigrants in the U.S. send remittances to Cuba, and the average amount sent is approximately $150 (Orozco, 2004), 54% of Cuban remitters typically send less than $100. Cubans also tend to remit less often, with just 15% of remitters sending money at least once a month (IDB, 2001). In Cuba, where state jobs pay the equivalent of $10– $20 per month (Eckstein, 2004), remittances are almost always considered supplemental income (Blue, 2004). According to the survey of 334 households mentioned above (Blue, 2004), 114 households received cash remittances ranging from $20 to $3,900. Households receiving more than $400 tended to receive payments quarterly (19%), bimonthly (16.5%) or monthly (31%), while those receiving less than $400 were more likely to receive just one payment per year (33.5%). The median remittance payment received was $425, and income from remittances more than doubled average annual earnings for the households that received them (Blue, 2004). Remittances to Cuba were $537 million in 1995 compared to an estimated $901 million in 2005. While remittances play an important role in the Cuban economy (Barberia, 2002; Blue, 2004; González-Corzo, 2006), and 60% of the population receives remittances on a regular basis (Mesa-Lago, 2003), the ratio of remittances to GDP remained relatively small and actually declined during the 1995– 2005 period. In 1995, remittances represented a mere 4.1% of GDP; this figure fell 43% to 2.3% of GDP in 2005. Although the ratio of remittances to GDP is commonly used to measure the magnitude of remittances in a country’s economy, in the case of Cuba, such measurement is unreliable due to the lack of consistency of official GDP estimates. Between 1985 and 2001, Cuba’s GDP series (at constant prices) were estimated using 1981 as the base year. This method was maintained for 20 years, ignoring recommendations by the United Nations to periodically update base periods in national accounting statistics (Mesa-Lago & Pérez-López, 2005). Starting in 2001, Cuba changed the base year from 1981 to 1997, and a new GDP series was recalculated only going back to 1996. As Mesa-Lago and Pérez-López (2005) indicate, the annual values for GDP for 1996–2001 in the new series increased by an average of 60%, compared to the old series, questioning the reliability of long-term Cuban GDP growth estimates. Cuban officials have defended the change in the base year used to estimate GDP mentioned above by claiming that it reflects Cuba’s economic performance more accurately, and have openly criticized the standard GDP methodology developed by the United Nations as “an indicator designed for a market economy, incapable of reflecting the social accomplishments, wealth distribution, and social welfare in a given country” (Rodríguez, 2002 cited in Mesa-Lago & Pérez-López, 2005). According to this view, the conventional methodology used to measure GDP underestimates Cuba’s “true” economic performance by ignoring the value of free social services and subsidized consumption (Mesa-Lago & Pérez- López, 2005). However, as Espinosa Chepe (2003) indicates, there are three fundamental problems associated with Cuba’s change of GDP methodology: (1) it is impossible to compare the two GDP series (i.e., the series using 1981 and 1997 as base years) prior to 1996; (2) there is a difference between the series at current (1997) prices and the 1981 series, even though they should be the same since current price statistics are assumed to have remained constant; and (3) there is a significant, unexplained, increase in gross capital formation in the new series (Espinosa Chepe, 2003 cited in Mesa-Lago & Pérez-López, 2005). The inconsistency of official statistics renders any calculation involving Cuba’s revised GDP series virtually meaningless, thereby limiting our ability to compare remittances to GDP. By contrast, an analysis of Cuba’s external sector statistics reveals that remittances became increasingly important when compared to the principal sources of foreign exchange earnings. In 1995, remittances represented 35.6% of merchandise exports, and 48.8% of gross tourism revenues.5 Ten years later, remittances represented 31.7% of merchandise exports and 38.8% of gross tourism receipts. Remittances to Cuba grew an average 5.4% between 1995 and 2005, compared to 7.8% for merchandise exports; and 8.1% for gross tourism receipts. 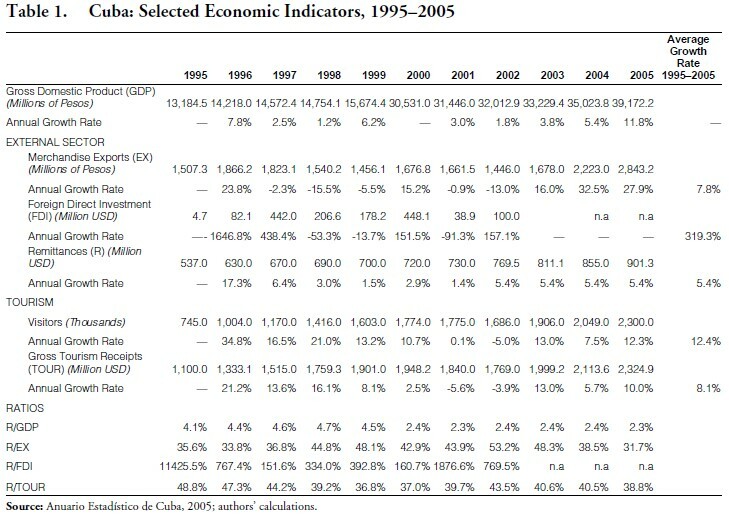 Table 1 presents the evolution of remittances to Cuba between 1995 and 2005, the ratio of remittances to select indicators of economic activity, and their average growth rate. In 1995, the Dominican Republic received $794 million in remittances, representing 6.6% of GDP, 21% of merchandise exports, 191.9% of foreign direct investment (FDI), and 50.6% of tourism revenues. Remittances reached $2.4 billion in 2005, or 8.2% of GDP, 39.3% of merchandise exports, 268.2% of FDI, and 68.5% of tourism revenues. During the 1995–2005 period, remittances to the Dominican Republic grew an average 11.9%, compared to 10.9% for GDP; 5.1% for merchandise exports; 39.3% for FDI; and 8.7% for tourism receipts. 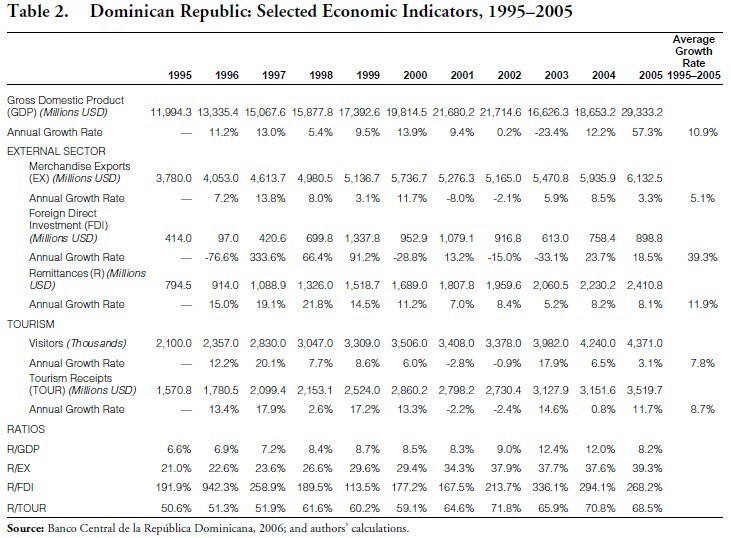 Table 2 shows the value of remittances to the Dominican Republic during the 1995–2005 period, the ratio of remittances to select economic indicators, and their average growth rate. In 1995, El Salvador received $1.2 billion in remittances, representing 12.1% of GDP, 74.1% of merchandise exports, and 2,989.2% of tourism revenues. Remittances increased to $2.8 billion in 2005, or 16.7% of GDP, 83.5% of merchandise exports, 82.7% of FDI, and 439.3% of tourism revenues. During the 1995–2005 period, remittances to El Salvador grew an average of 9.2%, compared to 5.3% for GDP; 7.9% for merchandise exports; 11.7% for FDI; and 34.6% for tourism revenues. 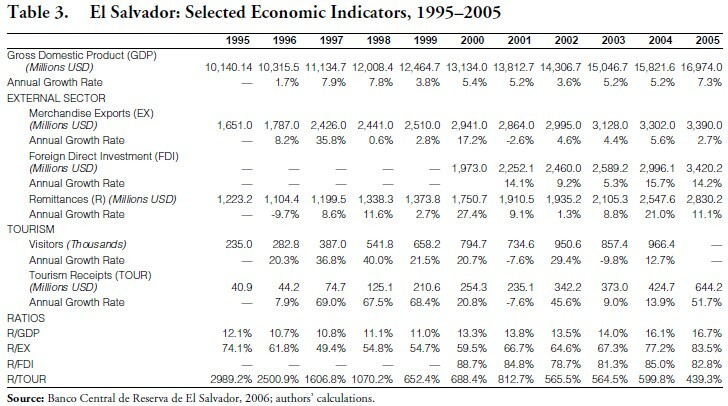 Table 3 shows the value of remittances to El Salvador between 1995 and 2005, the ratio of remittances to select economic indicators, and their average growth rate. From a comparative perspective, it is worth noting that even though remittances to Cuba grew an average 5.4% between 1995 and 2005, this growth rate was 55% lower than the rate recorded for the Dominican Republic (11.9%), and 41% lower than the growth rate for El Salvador (11.6%) during the same period. As indicated before, a meaningful comparison of the average growth rates of remittances and GDP, and ratio of remittances to GDP, is not possible in the case of Cuba due to the unreliability of official GDP data; however, it is possible to compare growth rates for remittances and other macroeconomic variables such as merchandise exports, and gross tourism receipts. The average growth rate for remittances during the 1995–2005 period (5.4%) was 31% lower than the average rate for merchandise exports (7.8%); and 32% lower than average growth rate for gross tourism receipts (7.9%). By contrast, the average growth rate for remittances to the Dominican Republic during the same period (11.9%) was 9% higher than the average growth rate for GDP (10.9%); 133% higher than the average growth rate for merchandise exports (5.1%); and 37% higher than the average growth rate for tourism revenues (7.8%). Figures for El Salvador reveal similar trends, with the exception of tourism revenues. The average growth rate of remittances during the 1995–2005 (9.2%) was 173% higher than the average growth rate for GDP (5.3%); 116% higher than the average growth rate for merchandise exports (7.9%); but 73% lower than the growth rate for tourism revenues (34.6%). Finally, on a per capita basis, Cuba received an estimated $76.34 in remittances in 2004, compared to $197.47 and $291.31 in the case of the Dominican Republic and El Salvador, respectively.6 Put another way, per capita remittances to the Dominican Republic and El Salvador were 259% (or 2.6 times), and 382% (or 3.8 times) greater than per capita remittances to Cuba in 2004. In the mid-1990s, Cuba embarked on a multi-dimensional strategy to attract remittances from abroad and stimulate the development of international tourism. This strategy consisted of the decriminalization of the U.S. dollar, the expansion of a national network of “dollar stores,” and the transformation of the banking sector. Despite the relative success of these policy measures, annual remittances to Cuba during the 1995–2005 period were significantly lower than the amounts received by the Dominican Republic and El Salvador. A comparison of remittance senders reveals that Dominican and Salvadoran remitters have a higher propensity to remit than their Cuban counterparts. They also tend to remit larger quantities, and rely less frequently on informal mechanisms to send remittances. On the receiving side, the majority of remittances in all three countries are used for consumption; however, there are notable differences on the methods used to send and receive remittances. Formal financial institutions (e.g., commercial banks, home delivery services, and money transfer organizations) play a larger role in the Dominican and Salvadoran remittance markets, while informal channels appear to dominate in the case of Cuba—mostly due to existing restrictions. Remittances to Cuba grew at a slower rate than remittances to the Dominican Republic and El Salvador during the 1995–2005 period. From a macroeconomic perspective, remittances to Cuba, while an important source of foreign exchange earnings, represented a lower share of hard currency generating activities (i.e., merchandise exports, tourism receipts, and foreign direct investment) than remittances to the Dominican Republic and El Salvador during the same period. This seems to suggest that although remittances occupy a significant place in the economies of Cuba, the Dominican Republic, and El Salvador, their magnitude in the Cuban economy is presently limited by the uniqueness of Cuba’s remittance landscape and the paradigm of U.S.-Cuban relations. 1. A country’s remittance landscape is comprised of: (1) market participants (i.e., senders and receivers); (2) the mechanisms or modalities to use, send, and receive remittances; and (3) the regulatory, legal, and institutional frameworks that govern remittances in the sending and receiving countries. 2. Resolution No. 80 (October 23, 2004) stipulates that, after November 8, 2004, all U.S. dollars converted to Cuban convertible pesos (CUC) are subject to a 10% surcharge (gravámen) and entities that previously accepted U.S. dollars are only permitted to accept convertible pesos. Remittances sent by online money transfer operations (MTOs) are exempt from the 10% surcharge mandated by Resolution No. 80. 3. Acuerdo 15 (March 24, 2005) established a new official exchange rate of $1.08/1CUC. Prior to this policy measure, the official exchange rate between the two currencies was set at parity (i.e., $1.00/1CUC). 4. The term “other” Hispanics refers to all Hispanic immigrants other than Cubans, Mexicans, Puerto Ricans, and Central and South Americans. 5. In the case of Cuba, gross tourism receipts (or revenues) include the cost of imported goods, which must be deducted to calculate net receipts (or revenues). According to Mesa-Lago (2005), net receipts (or revenues) from tourism are estimated to range somewhere between 61% and 70% of gross receipts (or revenues). 6. Annual remittances per capita for 2004 were estimated using the following statistics: Cuba—remittances, $855 million and population, 11,241,300; Dominican Republic—remittances, $2.3 billion and population, 8,400,000; and El Salvador—remittances, $2.5 billion and population, 6,756,800. Mario A. González-Corzo is Associate Professor, Department of Economics and Business, Lehman College, City University of New York (CUNY).